The Redmond giant also says that customers who purchase new computers before Windows 7 goes on sale will get free upgrades once it is released . The home basic version of Vista wont be eligible for upgrade. 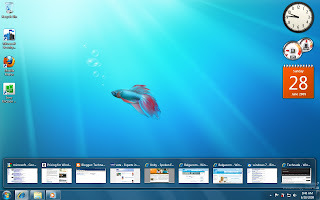 The company also offers customerswho live in the United States and other select markets the opportunity to preorder Windows 7 starting yesterday at a discount of 50 %, which means that in the United States, you can preorder Windows 7 Home Premium for $50 or Windows 7 Professional for $100 till supplies last. The offer ends July 11 in the United States and Canada, and July 5 in Japan. Customers in the United Kingdom, France and Germany can preorder theirs July 15 to Aug. 14. For all the fine print concerning the offer, click here or here. The new Operating System , Microsoft Windows 7 will officially hit the stores on Oct. 22.